Last night a screen saver popped up on my computer. It was this beautiful picture of luminaries lit in the night. Each one casting a warm glow, lighting a path. That got me thinking. What if each of us were a luminary of sorts, lighting up a path for others. Taking the time to stop and listen to someone who is troubled. Giving a break to someone in traffic. Letting a hurried mom go ahead of us in line at the grocery store. Giving the people we meet a warm greeting with a bright smile. Helping an elderly neighbor get to a doctor’s appointment. Doing some good deeds that really light up people’s lives. Wow! If everyone took this on, our world would be brilliantly shinning! I invite you to take this on and be a luminary. I’m in! If you are looking for a gift that lights up someone’s world, here it is! 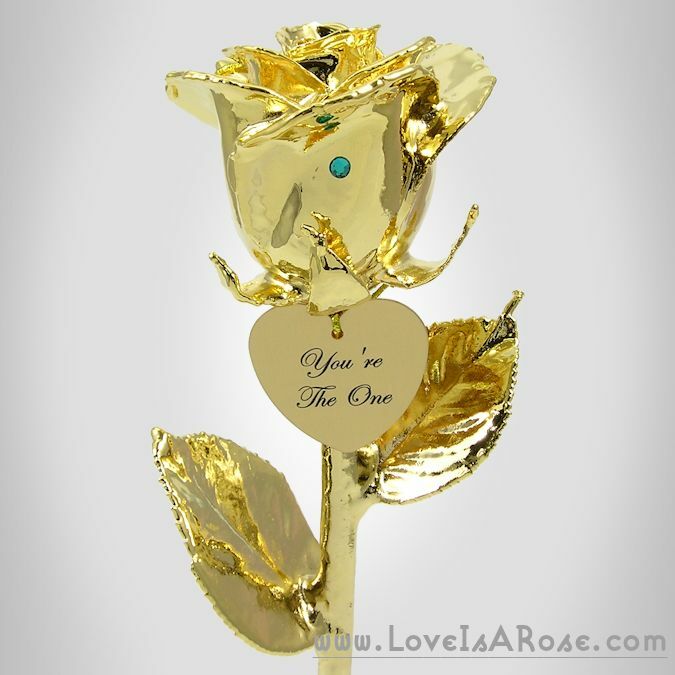 The 24k gold dipped rose pictured here! You can add a birthstone to the flower petal and a heart Charm with your heartfelt personal message. This is a wonderful gift for an anniversary, birthday, or my favorite occasion — “Just Because!” As this real preserved rose sparkles in the light it will be a lifetime reminder of you and your love. When you have something important to celebrate, give us a call or visit the LoveIsARose.com website! We are so happy to connect with you and assist with any of your requests. Wishing you bright and shining!